For many centuries when mages ruled the land, the common people rebelled against their magic and tyranny. They used catapults and bombs in the battle against magic castles and powerful spells. Now their destiny is in your hands. Crush your enemies and their castles before their magic destroys you. Your enemies will threaten your survival with harmful spells and devious weapons. 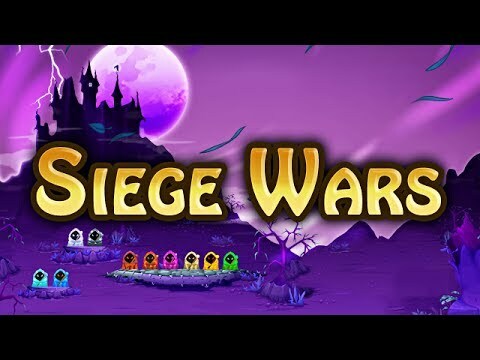 Featuring 90 unique levels, 32 weapon upgrades and seven construction materials, Siege Wars is an epic catapult-shooter to behold. Gather precious materials from each world before the solar system goes kaboom.